Hiah Park is a korean shaman (mudang) who specializes in the art of ritual dance. She has worked as a court musician and dancer in the korean classical tradition, has received a master of arts degree in dance, and has taught korean dance and ethnology - as well as sound and movement improvisation - in universities. 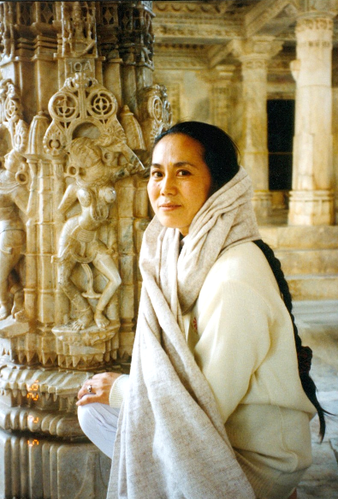 Since her initiation as a mudang in 1981, Park has traveled extensively, performing shamanic ritual dance, trance dance, and traditional korean dance throughout the United States, Europe, and Korea. She also conducts lectures and workshops dealing with spiritual healing and techniques of ecstasy. Her international work has sparked a renewed interest in and respect for the ancient korean spiritual practices, as well as providing a catalyst for spiritual healing and transformation.